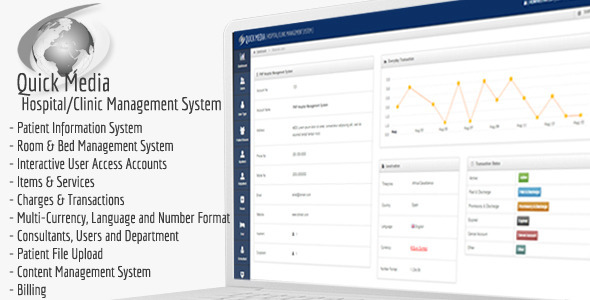 Quick Media â€“ Hospital/Clinic Management System is powerful, flexible, and easy to use platforms. The system has multiple user access control for all system modules. HCMS enables you to develop your organization and improve its effectiveness and quality of work.